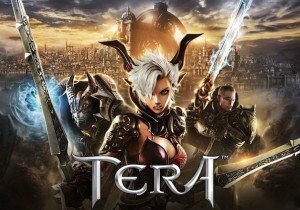 En Masse Entertainment, a player-driven publisher focused on delivering great games and exceptional service, is excited to announce the launch of the Go Berserk update for TERA, the most-played MMORPG on Steam. Starting today, players can Go Berserk with new berserker class skills for tanking, a new PvP battleground, new dungeons and more. For the first time ever, players can protect their party as a berserker-class tank with an array of new level-65 tanking skills. The new Intimidation skill is the key for successful berserker tanking. While active, this skill draws the attention of enemies around the berserker, increases attack aggro and reduces critical hits. Intimidation also alters Axe Block, Flatten, Staggering Strike, Fiery Rage, Raze and Unchained Anger, adding new effects that increase threat, decrease damage and restore HP. The Go Berserk update will also introduce the all-new 5-player dungeon, Timescape, the new 10-player raid dungeon, Akeron’s Inferno, an updated return of the 5-player dungeon, The Vault of Kaprima, new Tier 7 gear and a new dressing-room feature allowing players to preview cosmetic items for any race or class. Players also can look forward to Gridiron, an all-new 15v15 battleground. In Gridiron, two teams enter and everybody dies! A lot! In this team-deathmatch-structured mode, players are dropped into the middle of an enormous, open factory floor with only one rule—kill as many members of the opposing team as possible in ten minutes. For more in-depth details about the new berserker class skills and new content coming to TERA today, please visit the official Go Berserk website.